a very special orchestra for adult learners, beginners and those returning to music or wishing to learn a new instrument. 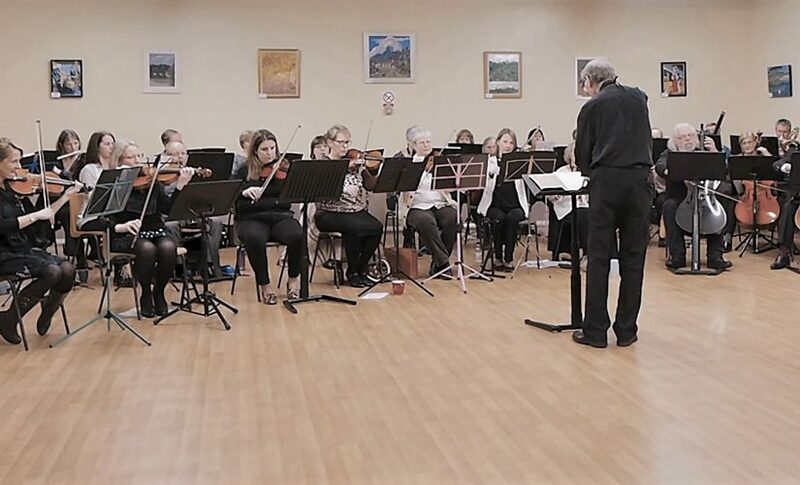 Based between Reading and Newbury, we offer a progressive introduction to orchestral playing. Orchestras which welcome adult beginners are unusual: most require a minimum standard to join, so if you have a dusty, neglected flute, cello or sax in your attic, this may be the opportunity you’ve been waiting for! We cater for all standards of players in a friendly and welcoming environment, even if you have no experience of playing in a group. If you think “I’m not good enough to play in an orchestra” Da Capo is for you! Our motto is “I can’t do that… yet!“. Even if you’re a beginner at your instrument who can barley read music, or used to “play a bit” ages ago, or are enjoying the challenge of a new instrument, we’d love to see you. Having easier parts for beginners and more challenging parts for more experienced players ensures that everyone is still learning.